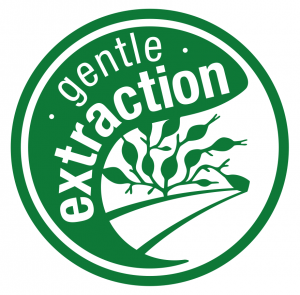 With Sustainable Hand-harvesting Technique to preserve this natural resource, we developed a unique Low Temperture Extraction Technique, instead of using heat or/chemicals to burst he seaweed cells, our process assures retention of micro, macro-nutrients and antioxidants naturally contained in Ascophyllum nodosum. The species are traditionally hand harvested by local cutters in Ireland. OGT’s raw material harvesters are following a careful rotation and selection of cutting areas in relation to the natural growth and physiological parameters mentioned above. The primary concern of our local harvesters and our Company, is to ensure the sustainability of this valuable resource in respect to its natural environment and ecosystem. On arrival at the factory the seaweed is hand inspected prior to production to ensure it equals the company’s high quality demands. From here the seaweed enters a unique cold extraction process vital for the retention of both the micro and macronutrients but also various antioxidants in which Ascophyllum nodosum is naturally rich. 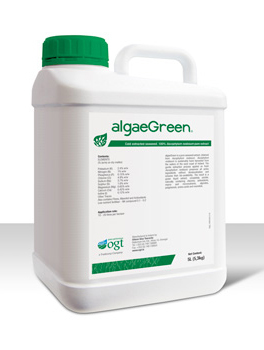 The resulting product is a smooth green-olive juice rich in all the natural compounds of the fresh seaweed, as intact as possible due to the low temperatures applied. In order to guarantee a constant product with low variations in the main bioactive components of the product, a regular Quality Control and Analysis through several GLP laboratories. Also obtaining a workable shelflife from production to end user and taking into account the distribution steps.